Last documented in 1986, the federally endangered Morro bay kangaroo rat has eluded biologists for more than three decades. While some in the conservation community believe this tiny native mammal may have gone the way of the dodo, two local biologists have reason to believe that a few isolated colonies may still exist in the remaining patches of coastal dune scrub along California’s central coast near Los Osos in San Luis Obispo County. From 1990 to 2015, biologists saw potential signs of the Morro Bay kangaroo rat in the parkland around Los Osos. However, none have been captured following multiple surveying and trapping efforts. So does the tiny Morro Bay kangaroo rat still exist? Possibly, say Dr. Chris Kofron of the U.S. Fish and Wildlife Service and Dr. Francis Villablanca of California Polytechnic State University, but if so, then at extremely low density and in only a few isolated colonies. Kofron and Villablanca have turned to alternative survey methodology to aid in the search for the mysterious, nocturnal burrowing mammal. "To enhance our chances of finding the Morro Bay kangaroo rat, if it still exists, we combed all of California for a wildlife sniffer dog to lead the field search," said Dr. Chris Kofron. 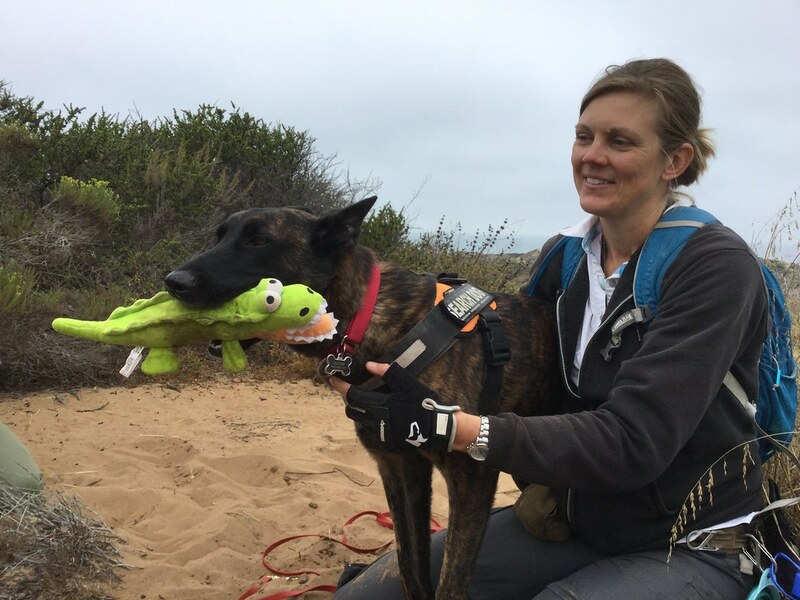 They ultimately recruited Vector, a Dutch shepard scent detection dog trained by H.T. Harvey Ecological Consultants and experienced in sniffing out small mammals and birds. 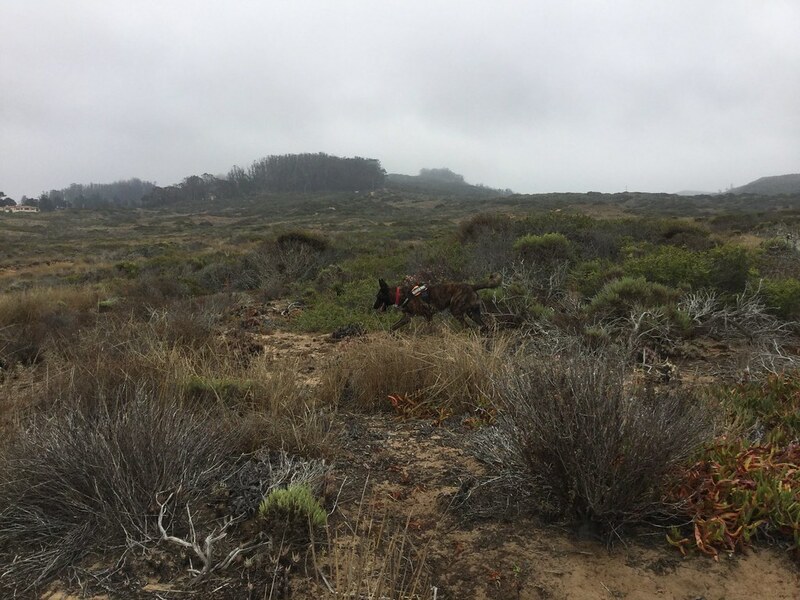 This August, following six months of training, Vector led a field search for the Morro Bay kangaroo rat in San Luis Obispo County. Lauralea Oliver, a biologist with H.T. 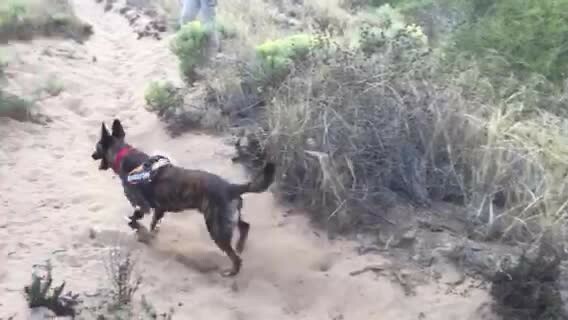 Harvey Ecological Consultants, trained Vector to sniff out and detect the Lompoc kangaroo rat, a very closely related kangaroo rat that lives nearby in similar habitat. 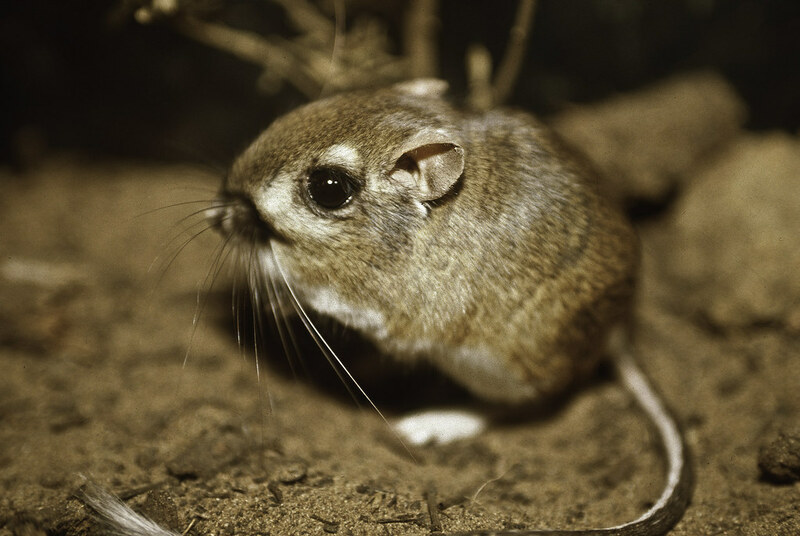 The Morro Bay kangaroo rat and the Lompoc kangaroo rat are both subspecies of the Hermann's kangaroo rat. For three long, hot days in August, Vector surveyed areas of Montana de Oro State Park, Morro Bay State Park, and the Morro Dunes Ecological Reserve, which are among the last documented areas where the Morro Bay kangaroo rat was sighted more than three decades ago. Vector alerted twice over the three days, giving the response signal for scent of a kangaroo rat. So now, California State Parks, which manages the properties where Vector alerted, have installed bait stations with cameras at the two alert sites to see which small mammals are living there. "The immediate conservation need is to locate any persisting colonies of the Morro Bay kangaroo rat, if it still exists," said Dr. Villablanca. The Morro Bay kangaroo rat is the only type of kangaroo rat in Los Osos and the conservation community is anxiously awaiting the outcome of this last best effort to find the elusive animal. Endemic to the vicinity of Los Osos in western San Luis Obispo County, the Morro bay kangaroo rat was listed as federally endangered in 1970 due to loss of habitat from residential and commercial development, and due to increases in vegetation density from the absence of fire. This project is a special partnership of the U.S. Fish and Wildlife Service, H.T. Harvey Ecological Consultants, California Polytechnic State University, and California State Parks.